Looking for Instant Pot recipes, tips and resources? You’re in the right place! Whether you are thinking about getting an Instant Pot, are a new owner, or have had an Instant Pot for years, below you’ll find helpful information to make the most out of your electric pressure cooker. What’s So Great About Instant Pot? My friends who know how much I love my Instant Pot ask me this a lot. They want to know if it’s going to magically plan and cook dinner for them in an instant. After all, what’s all the hoopla about? Many people are discouraged to learn that when an IP recipe says to cook it for 10 minutes, the actual time can be much longer. That’s because the cook time doesn’t include the time it takes the pot to come to and release pressure, both of which can take anywhere from 10 minutes to an hour depending on what you are cooking and how full the pot is. That being said, pressure cookers do cook many foods faster. Since the heat stays trapped within the pot, compared to steaming, boiling, or braising, pressure cooking is 30 percent faster! 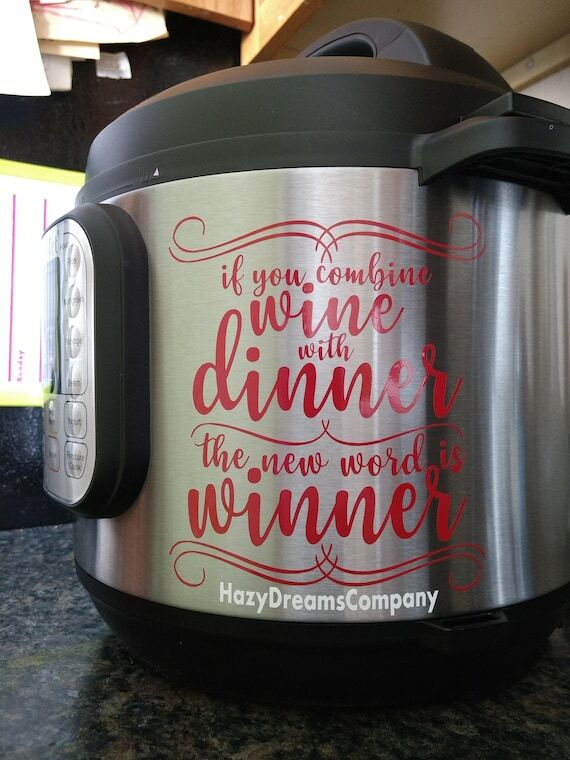 When people complain to me about how long the Instant Pot takes, I’m always a little confused. The Instant Pot saves me so much time! Even though it can take from 30 minutes to an hour (or more) to fully cook a meal, my hands-on time is rarely more than a few minutes. That means I’m free to help kids with homework, sort the mail, fold laundry, or any one of the dozen other things I need to do and wouldn’t be able to if I was standing at the stove. And unlike the oven, if I miss the beeping of the timer, the Instant Pot switches itself to warming mode so dinner doesn’t end up burned. Sure, a slow cooker provides many of these same benefits, as long as you remember to start dinner in the morning! My Instant Pot lets me be my forgetful, disorganized self and still enjoy a delicious, perfectly cooked dinner. Because you can saute and pressure cook with the Instant Pot, you can make hundreds of different one-pot meals. Unlike casserole dishes where I have to brown the meat in a skillet, then transfer to a baking dish, with the Instant Pot there’s no need to transfer. 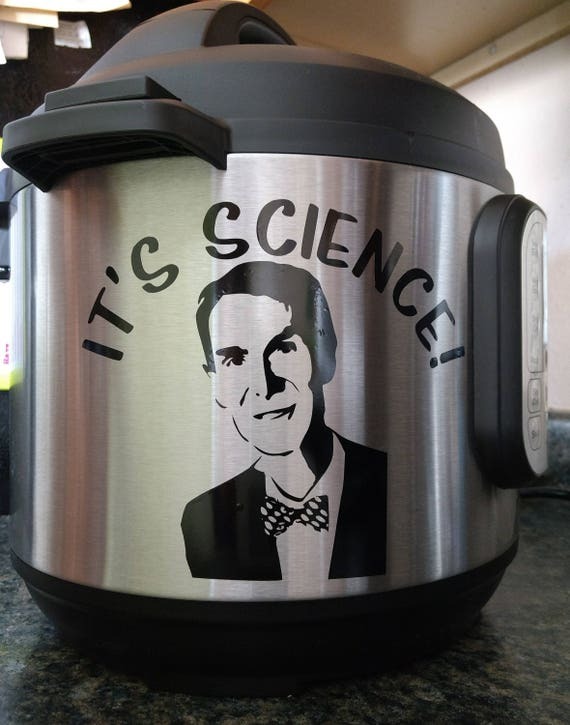 Because the Instant Pot is a pressure cooker, it forces steam into the food. This not only helps cook the food faster, it keeps it moist! Aside from the initial cost of the Instant Pot, using it is actually a great way to save money! First, it uses 50 to 70 percent less energy than conventional cooking so you save money on energy costs. Second, because of the pressure cooking method, you can now enjoy inexpensive foods like cheaper cuts of meat and dried beans without cooking them all day. Also, many people save money because they eat out less. Why order expensive Chinese takeout when you can make so many of your favorite Chinese recipes in your Instant Pot? An unexpected benefit of being an Instant Pot owner is that you automatically become part of an enthusiastic community. IP owners are always happy to share recipes, tips, and ideas. 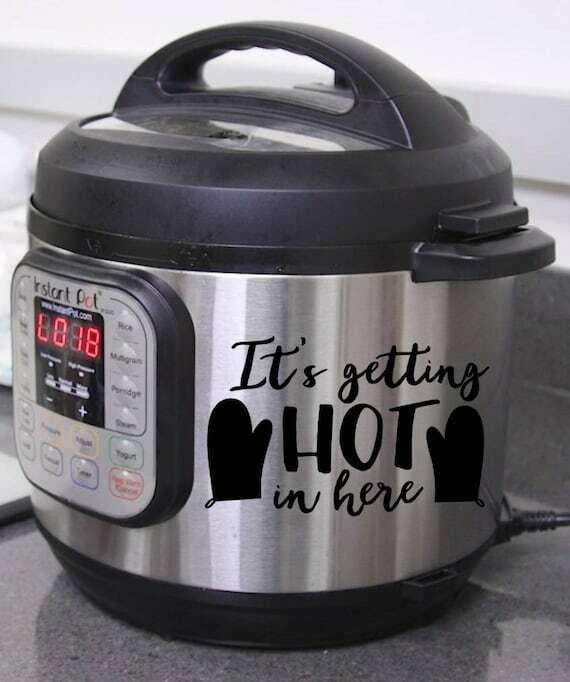 For example, you can join the All Things Instant Pot group on Facebook to get daily inspiration for your Instant Pot cooking. Click here to join the group. And truly, no matter what your dietary restrictions are, there’s an IP community for you. You can find Gluten-Free Instant Pot recipes, Instant Pot Weight Watchers recipes, and plenty of Vegetarian Instant Pot recipes. Inner Pot: The stainless steel liner inside your Instant Pot. If you use your IP a lot, you may want to buy an extra one to cook in while the other is in the dishwasher. Sealing Ring: The silicone ring that sits inside the rim of your IP. You’ll definitely want an extra one of these since it tends to absorb food odors and can take time to deodorize. Floating Valve: The small metal pin next to the steam release valve. When the floating valve is raised, the IP has pressure built up inside. NEVER attempt to remove the lid when the floating valve is raised even the tiniest amount. Quick Release: This means that when the Instant Pot is done cooking, you move the steam release valve from “sealing” to “venting” to release the pressure within the pot. Natural Release: When the Instant Pot finishes cooking, leave the steam release valve in the “sealing” position and the pot will SLOWLY release pressure on its own. Pot-in-Pot: A cooking method that allows you to cook two separate dishes in your Instant Pot at the same time. You place one dish on the bottom of the pot, then place a steamer rack on top upon which you can set a bowl or pot containing another dish. You can cook for many months with your Instant Pot using just the items it comes with. However, as mentioned in the above terminology, when you use it a lot, there are some items you’ll want multiples of so you don’t have to wait for clean dishes. Stainless Steel Inner Pot – Whether your pot is in the dishwasher or you have a batch of yogurt in it thickening up in the fridge, you’ll find plenty of reasons to put this backup liner to use. Silicone Lid – Turns your inner pot into an airtight, spill-proof container. Perfect for when you make yogurt or when you prep dinner ahead of time and need to keep it refrigerated until you’re ready to cook. Sealing Rings – These hold food odors so they need to be cleaned regularly. Having an extra one or two on hand means you’ll never be waiting on one to deodorize and you’ll have a backup when one wears down after many uses and washings. Vegetable Steamer Basket – The Instant Pot excels at steaming vegetables and fish. This steamer basket makes it easy. Egg Steamer Rack – Instant Pot users LOVE to make hard boiled eggs in their pots! With the help of this rack, you can make up to 14 at once! Steamer Insert Pans – Speaking of making a lot at once, these steamer pans make it easy to cook two dishes at the same time in your Instant Pot. Cheesecake Pan – Surprisingly, one of the most raved about Instant Pot functions is its ability to produce the best cheesecakes! After seeing a few hundred pictures of them online, you will eventually want to try it for yourself. When you’re ready to give it a try, start with Amy & Jacky’s Cheesecake #17. Egg Bites Molds – Another IP fan favorite is egg bites, very similar to an item on Starbucks’ menu. You’ll need this silicone mold to make them. Use this Egg Bites recipe from Foodie & Wine. Tote Bag – The Instant Pot is too amazing to keep to yourself! Many IP users take theirs to potlucks, parties, or on the road in their RV’s. Because of its size and shape, make sure you get a tote bag specially designed for the Instant Pot. I like this one because it has a zippered compartment for accessories too. Foam Brushes – These little tools are the easiest way to clean the edge of your Instant Pot. Just run a brush around the inside lip and wipe away all the grime. Forgetting to put the inner pot in before cooking – No one thinks this will happen to them, but it happens EVERY DAY! Many IP users have ended up in tears when after pouring everything in their Instant Pot, they realize the liner is still in the dishwasher. Avoid this by keeping a large item inside the pot whenever the liner is NOT in it (e.g. a dishtowel or wooden spoon) so you’ll be forced to notice the missing liner before cooking. Forgetting to replace the sealing ring – Like the inner pot, the sealing ring gets cleaned after each use and thus, gets forgotten. Since the IP won’t seal without the ring, that’s a problem. You can avoid this by having more than one ring so that you always have one in place. Forgetting to move the Steam Release Valve to Sealing – This isn’t catastrophic but does waste a lot of time. You typically won’t notice until you see steam pouring out of the top, or worse when you come back 45 minutes later to see if dinner is ready and realize the time hasn’t even started yet. The easiest way to avoid this is to always keep the valve on sealing except when you are releasing pressure. Overfilling the pot – As a general rule, you never want to fill the pot more than 2/3 full. If you’re making a food that will expand (e.g. rice) don’t fill it more than half full. Otherwise, you run the risk of clogging the venting knob. Burning the Instant Pot on the stove – This is another thing no one ever thinks they will do, but it happens far too often. You set the Instant Pot on a cold stove and someone accidentally knocks a knob turning on the burner. To avoid, NEVER place your Instant Pot on the stove. Using quick release for foamy foods – Some foods like rice, pasta and beans create a lot of foam when they are cooking. If you use quick release, all that foam comes exploding out the steam release valve creating a big mess. To avoid this, allow these dishes to release pressure naturally or only slightly open the steam release valve. One thing Instant Pot users are always looking for is recipe inspiration. Here are some great places to find great Instant Pot recipes. Since you’re already here, you can see all of my Instant Pot recipes here. I’ve shared over a hundred recipes including breakfasts, appetizers, and desserts so you’ll have plenty to try. The easiest way to find a recipe is to do a simple Google search. This is really helpful when you have a specific idea of what you want to make and just need a recipe to follow. 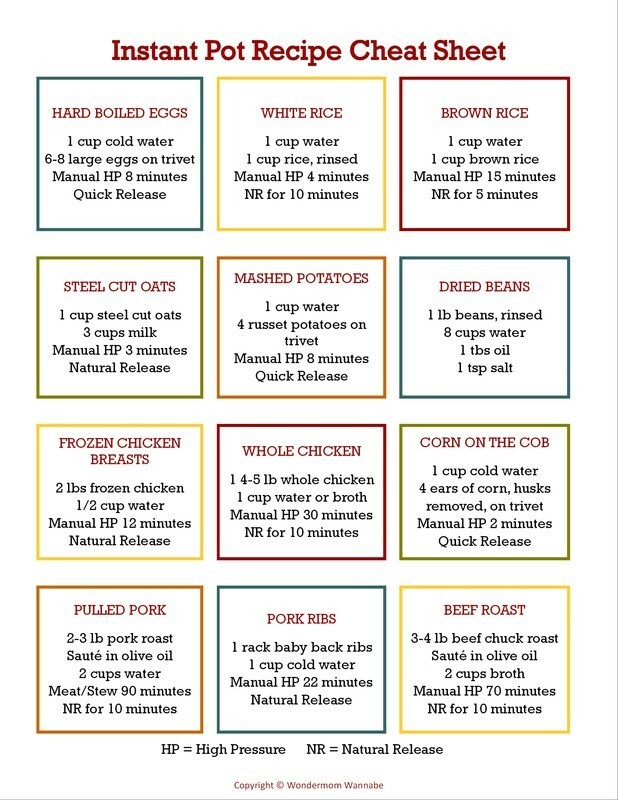 One of my favorite places to find recipes is Pinterest. You’ll find plenty of Instant Pot recipes there and can easily filter for different flavors, difficulty level and meal type. Many people also find great recipes on Facebook. Search for Instant Pot pages to follow and communities to join that match your taste and personality. Because I like EASY recipes, one of my favorite sources is Once A Month Meals. They have a paid membership that gives you access to all of their recipes, but you can see many of the recipes without the membership. If you prefer traditional cookbooks, this is an easy and practical way to keep all of the Instant Pot recipes you find organized. Simply print the recipes you like, punch holes in the side and add them to the appropriate section. Or, use page protectors so you can skip the hole-punching. Page protectors are also easy to wipe off to keep your recipes from kitchen splatters and spills. If you have a Pinterest account, simply create a board for Instant Pot recipes and pin all of the recipes you find to that board. If you find that you’re pinning hundreds of recipes, create individual boards for different collections of recipes to make them easier to find. Copy Me That is a great app for saving recipes you find on the web. You can easily “clip” a recipe from your phone, tablet or computer with one click. You can add your own tags to recipes to make it easy to find a specific type of recipe (e.g. “chicken” or “dessert”). The best thing about Copy Me That is that it’s 100% free. If you’re looking for a recipe system that also makes it super easy to plan your weekly menu and shopping list, look into Plan to Eat. Like Copy Me That, Plan to Eat makes it super easy to save recipes you find. In addition, it gives you the ability to create your menu in minutes by dragging recipes onto a calendar. My favorite feature is the auto-generated shopping list. Once you’ve created your menu, you simply click the “Shop” tab and all of the ingredients from your recipes are already there, sorted into sections.